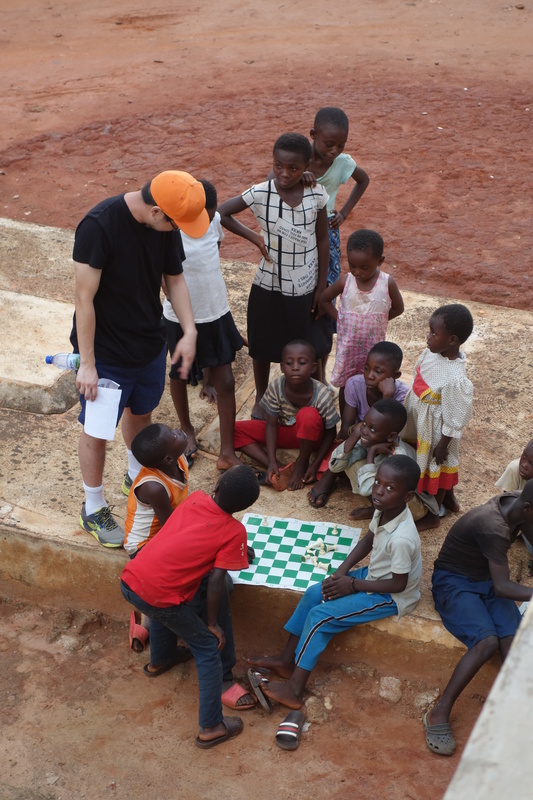 Hart House Chess Club Supports Chess in Africa! 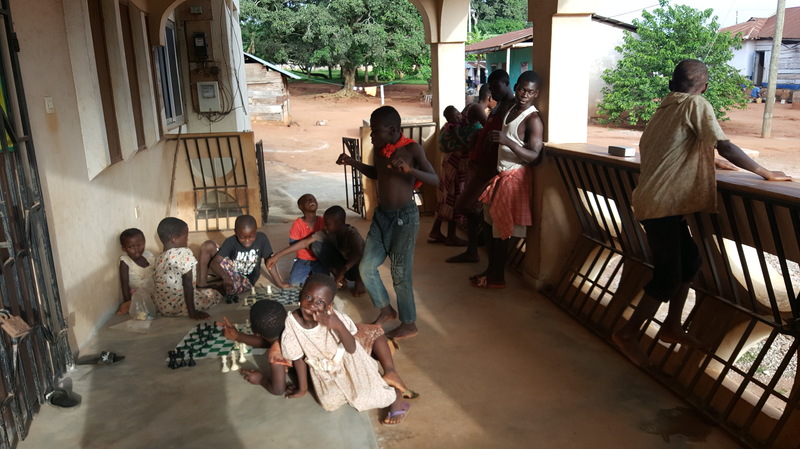 Back in the 2000s a volunteers’ Charity Organization called Ashanti Development was founded in London with the aim of providing help to improve the lives of the people in their home villages in Ghana. Ashanti is the largest and statistically richest region in Ghana. But few local people benefit from these natural resources, and those that the Organization works with are among the poorest ones. Since 2006, Ashanti Development has brought the local villages clean water and sanitation, training in health and hygiene, healthcare, help with education and income generation, libraries, computer centres and more besides! 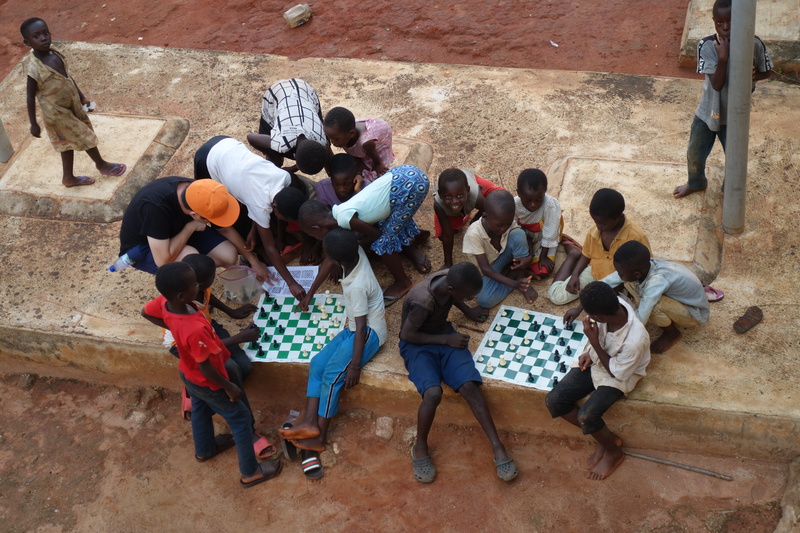 This past May, our club’s coach, Jonathan Yu, along with Hart House Chess Club’s former Secretary, Bill Kim, joined the team of volunteers, who went to Ghana! The larger mission was to contribute money for sanitation and for maintaining pipelines but John’s and Bill’s more specific task was to build a science curriculum for the local High School! This included (among other things) setting-up educational microscopes and providing training to the local teachers as to how they should use the equipment and what methods they can use to promote education! 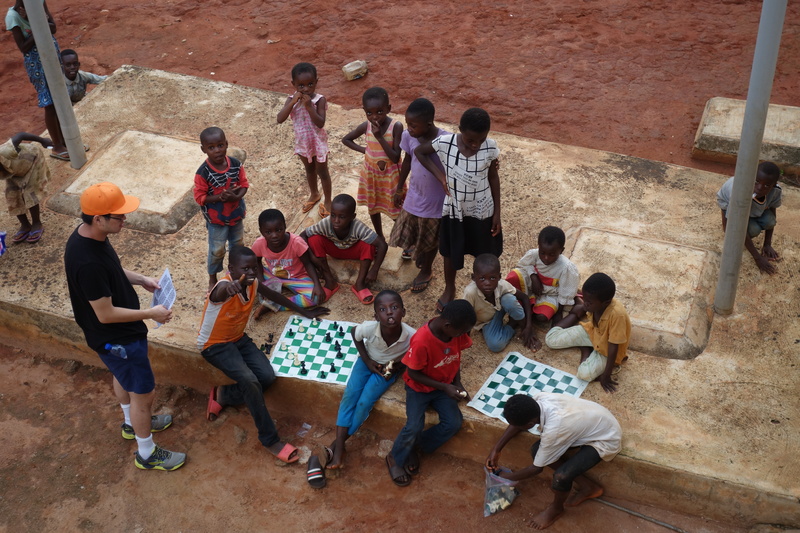 On the side of their main mission, however, Jon and Bill had decided that they would attempt to create a small chess club for the juniors of the village! This was, after all, part of their more general effort to enrich education! And so they did! 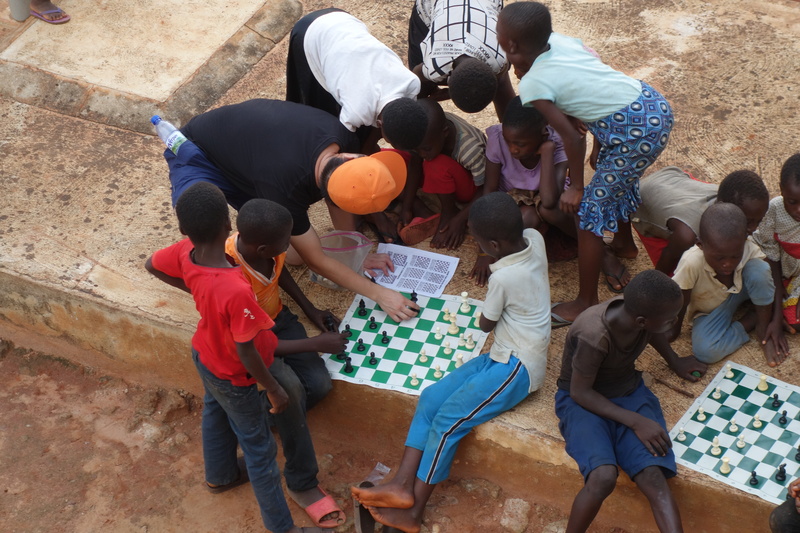 Every day, the kids would anxiously await for the after school hours when they could practice their new favorite game! You see, Jon and Bill lived right across the street of the junior high school! Thus, every afternoon, right after school, a group of 10-20 smiling kids would cross the main street to join Jon and Bill! 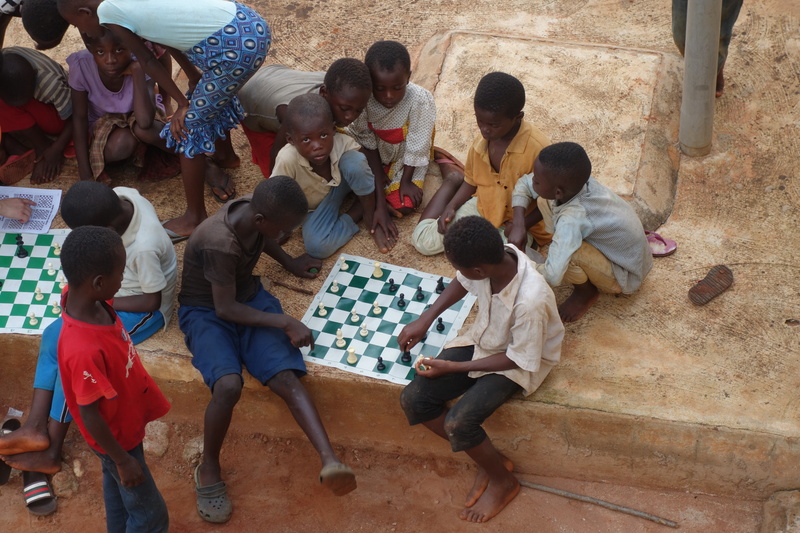 Then the chess games would begin and, along with them, came the joy of learning something new! 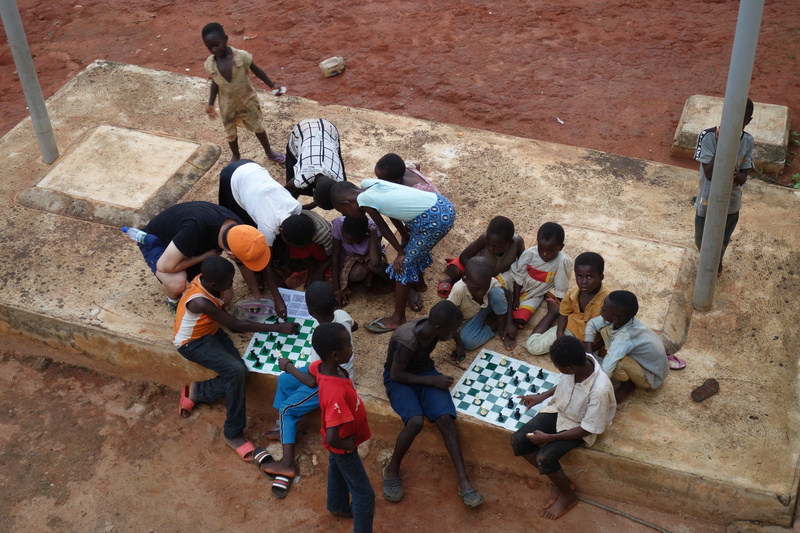 Some kids really fell in love with chess. Others preferred to use the chess boards to play checkers. Still others enjoyed the experience of hanging out with their friends over black-and-white squares, occupied by imaginary, harmless armies. No matter what attracted each of them, they all had one thing in common! They knew how to flash a disarming smile to the camera! 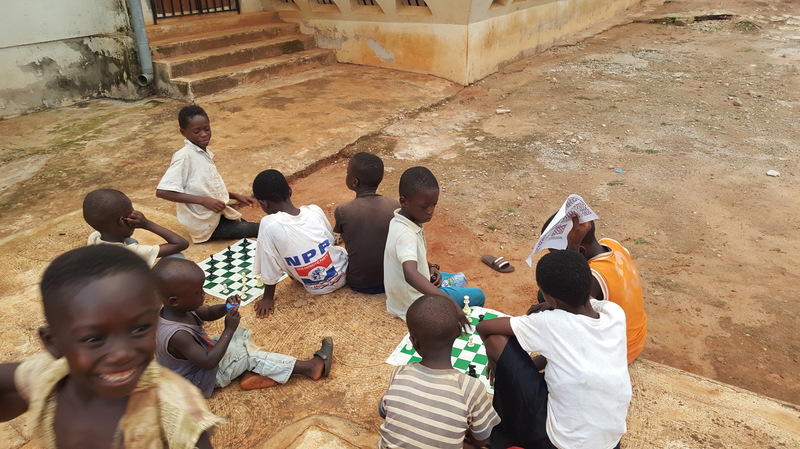 As Hart House Chess Club, we are very happy to have donated three of our boards and chess sets to promote chess in the villages of Ashanti. We are even more grateful to Jon and Bill for volunteering their time to serve such a meaningful educational goal. 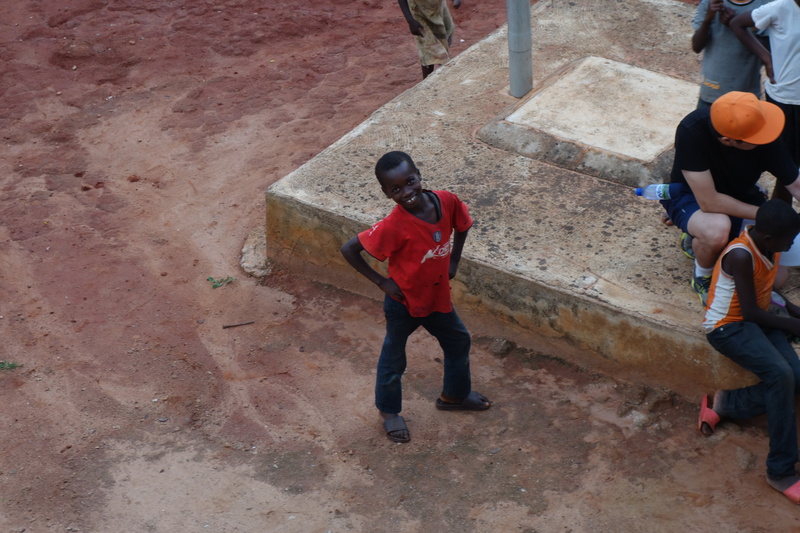 The largest part of our gratitude, however, is owed to the Ghanian kids themselves. It is them who inspired us and taught us a lesson no-one else could.